Today is the finale of our 14-Step Series. 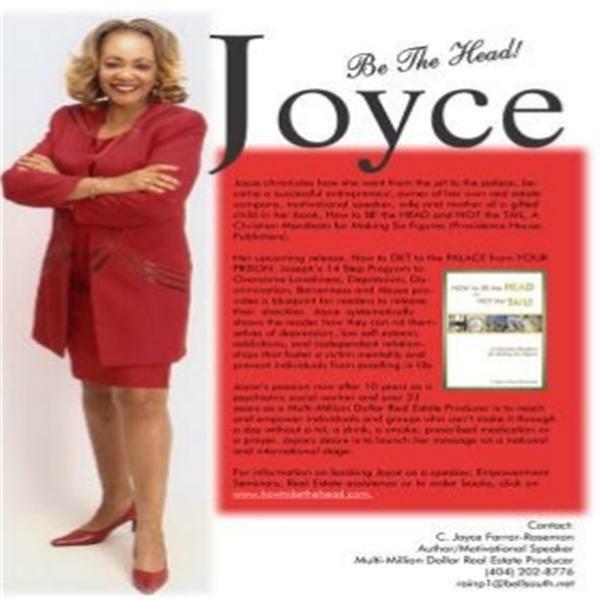 Inspirational Voices Radio Show host, C. Joyce Farrar-Rosemon will explore in detail the rewards that come when others see us sweat. What are the rewards when we let the world see our weaknesses, our Kryptonite? What possible gains can there be when we let our abusers who may have wanted us dead, see us sweat when we expose our hurts? How can we receive a 100-fold return by letting others see us sweat? Listen live or through chat at http://www.blogtalkradio.com/inspirationalvoices to hear answers to these questions. To share your inspirational voice, the call-in number is (347) 996-3292.